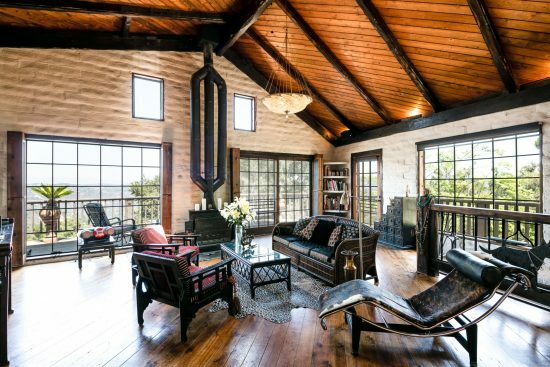 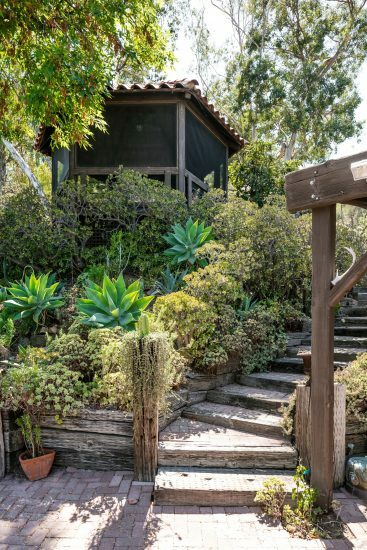 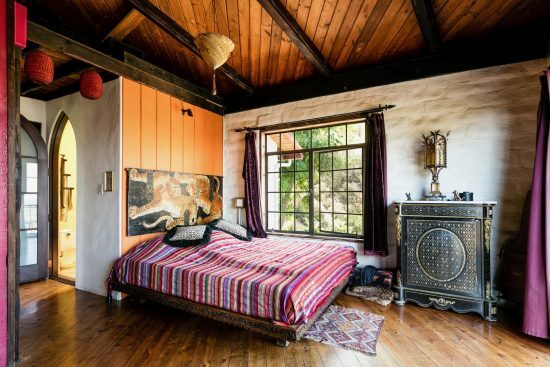 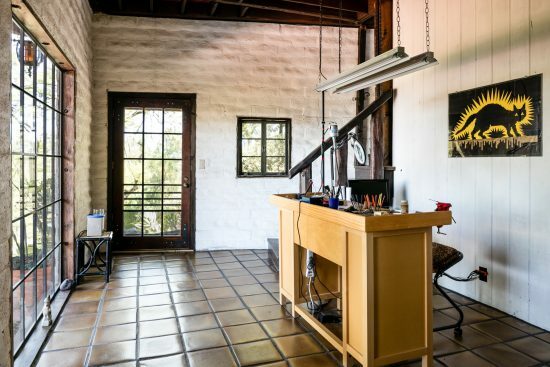 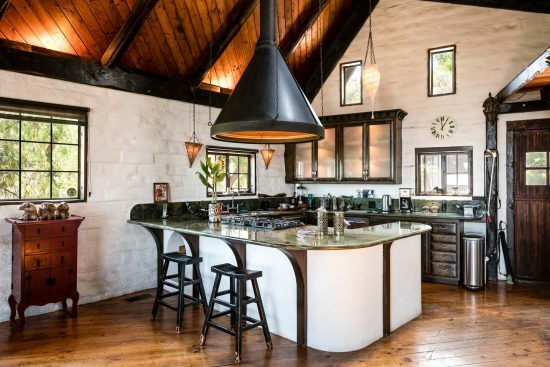 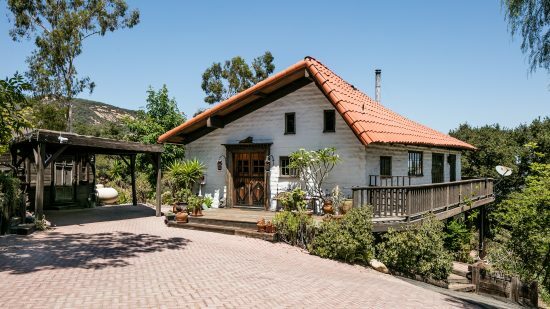 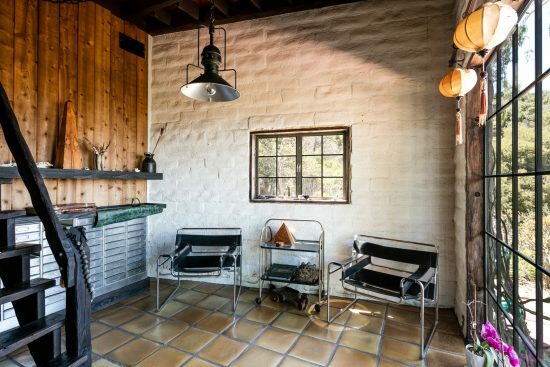 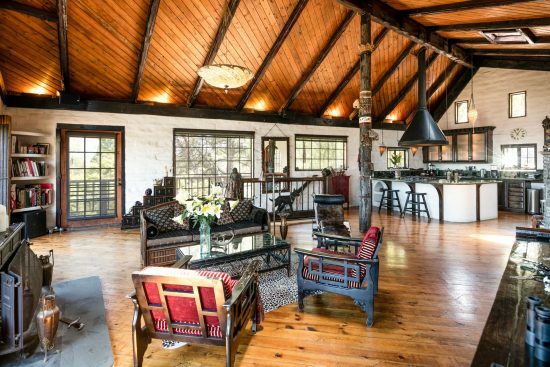 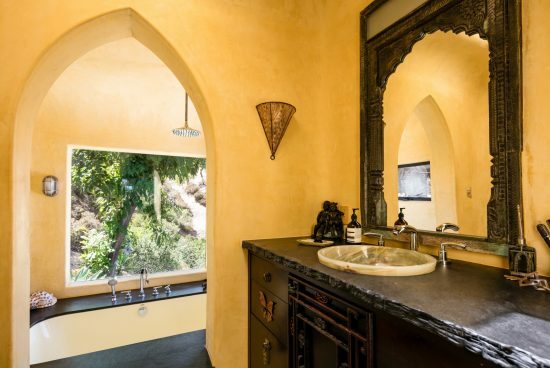 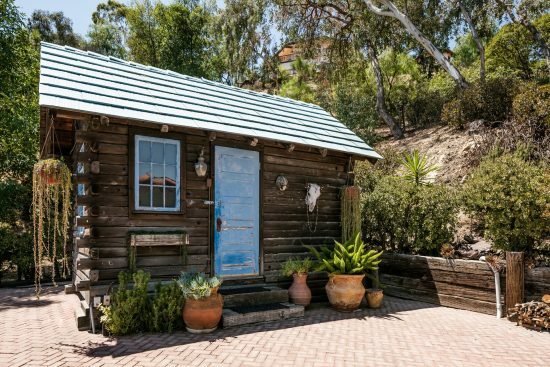 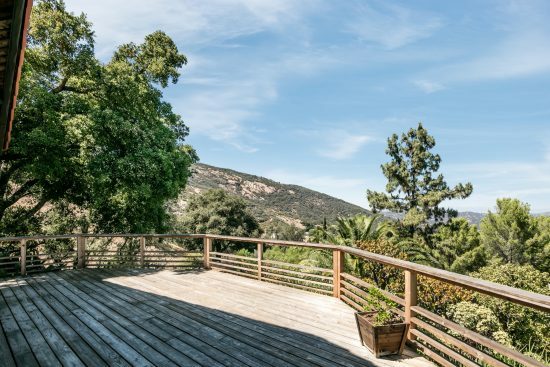 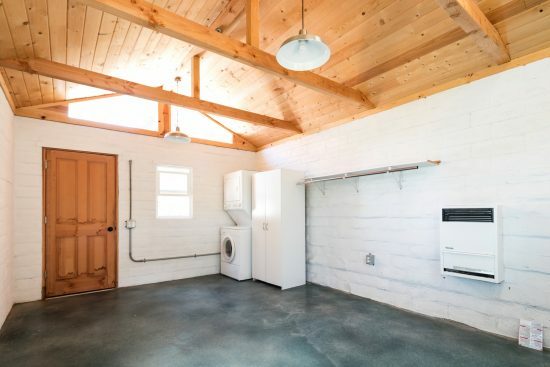 Situated in close proximity to the vibrant and eclectic commercial center of Topanga; up a meandering long private drive behind gates, there is a compound comprised of several structures best described as rustic chic in style. 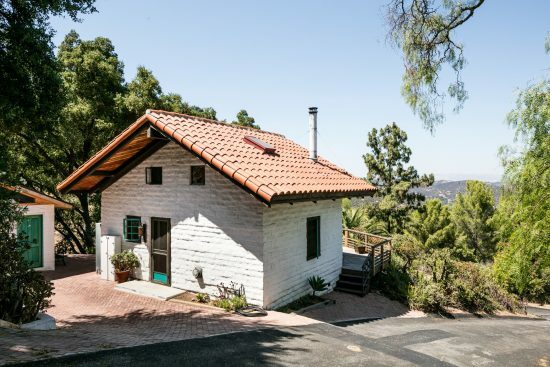 Included is the main house, a self contained guest house plus several additional ancillary structures that can be used for a variety of purposes. 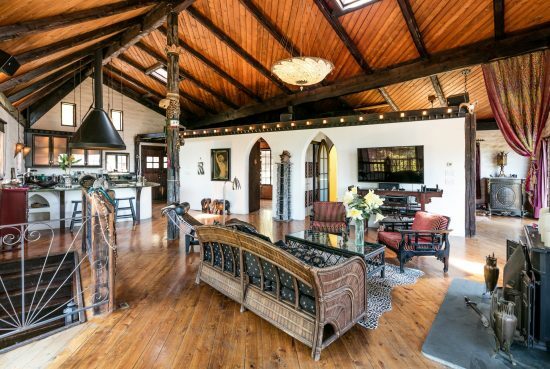 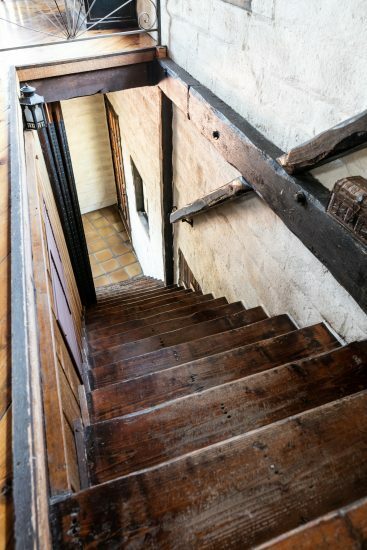 The main residence features California Romantic period elements constructed with masonry walls, a signature red tile roof, rich dark hard wooden floors, ornate iron work and a high pitched wooden paneled ceiling providing a spacious open, yet cozy, loft environment. 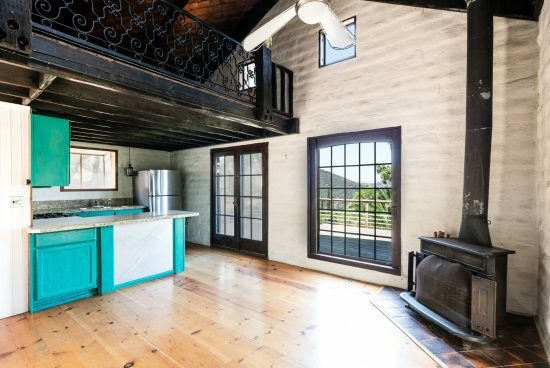 The main floor provides the cooks kitchen open to the formal/informal entertaining areas that are enhanced by the original wood burning fireplace plus two bedrooms including the master suite. 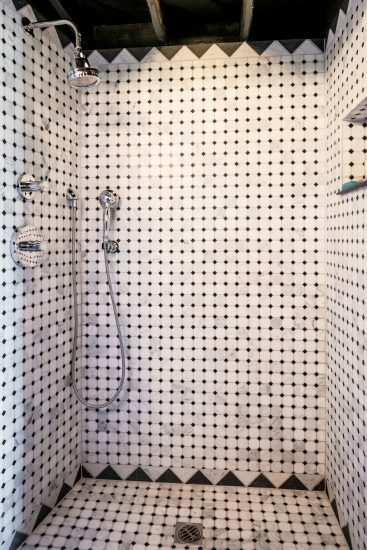 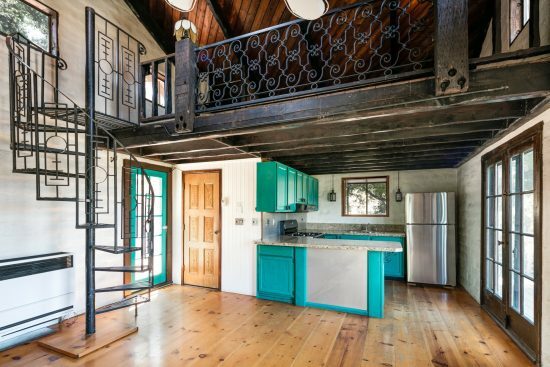 The lower level offers an art studio, a tasteful bath and sleeping loft. 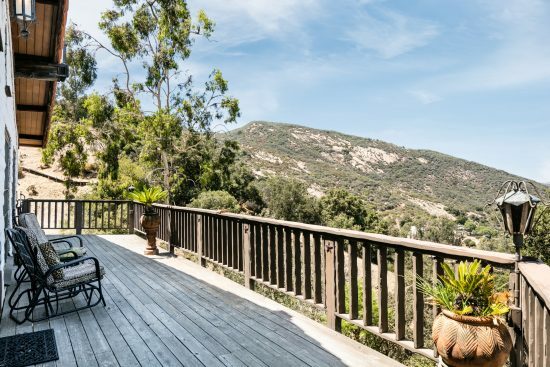 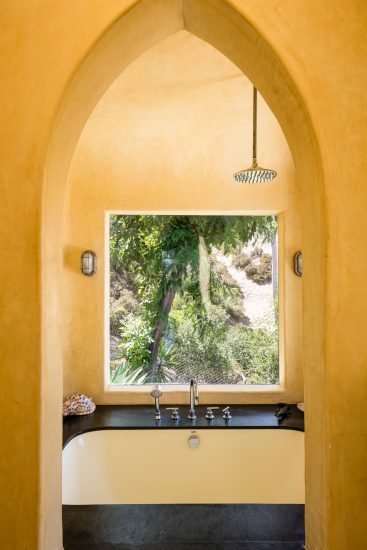 Every window and sliding glass door frames the mesmerizing views of the Santa Monica mountains and beyond. 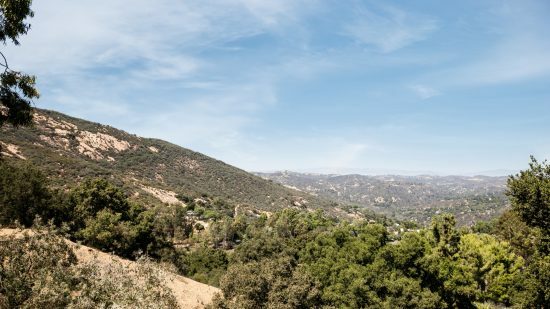 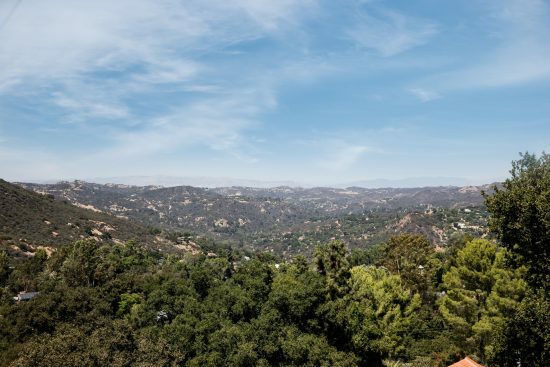 2025 Tuna Canyon Rd is a residential property located in Topanga, CA. 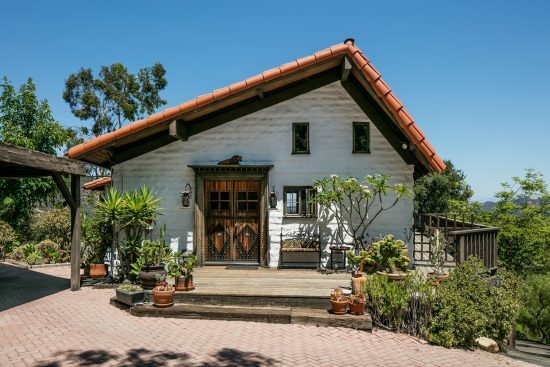 This property sits on a 65975 sqft lot, with 3 bedrooms, 3 baths.